The crisis that has wracked Western Province and is threatening to push the union back towards amateurism may turn out to be the best thing to ever happen to rugby in South Africa. The situation that has developed, and the probable implications, could be tragic in the short term. But the end of a four-year World Cup cycle is often the time when change takes place in rugby, and cataclysmic change is necessary in South African rugby for it to survive. It was ironic, or maybe not, that on the same page that trumpeted the WP problems in a Sunday newspaper last weekend there was an interview with Remgro CEO Jannie Durand. The Stellenbosch-based investment company is one of the few big investors in local rugby. Durand put out an emphatic message: South African rugby needs to privatise if it is to survive. Former SARU president Oregan Hoskins made a similar speech to his union at a meeting in Franshoek in 2014. He said that the union presidents would have to accept that privatisation was the only way forward. They didn’t accept it. Instead they got very angry with him. That is the problem. We keep using that hoary old phrase “turkeys don’t vote for Christmas” to sum up the chief obstacle to South African rugby becoming properly professional, but unfortunately it just doesn’t lose it’s relevance. The amateur, elected officials don’t want to lose their power, and in the WP example, they are looking to increase it. In a nutshell, the amateur arm of the WP union, meaning the Executive Committee (Exco) headed by new president Zelt Marais, is looking to dissolve the Board, representing the professional side of the operation. The catalyst has been the Paul Treu saga. The Stormers player body sent out a unanimous message at a meeting with union leadership last Monday that they want the former assistant coach to be removed following his unsuccessful attempt to bring a charge of discrimination against the coaching leadership at the union. After the meeting between players and officials, the Board resolved to put in place an exit plan for Treu. However, the Exco subsequently resolved to follow the exact opposite course of action – not only would Treu stay, he would replace Gert Smal as director of rugby. It has become increasingly apparent that Treu has just become a pawn in a political game and battle for power. Marais proposes to mix board members with Exco members into one body running WP, but the rub is that he wants to be in charge and wants to invoke a clause from the Ronnie Masson era (1990s) vesting the power to appoint coaches etc in the president. The reasons this should be a concern are manifold and extend beyond the obvious, which is that you have elected officials, selected out of amateur club rugby, presiding over a professional operation. There are over 100 clubs in Western Province. In every election there is a populous appeal agenda, and never has that been more the case than in this last one, where lower-tier clubs were targeted. The Exco is now made up of members who have even less experience of the evolution of professional rugby than their predecessors. It is answerable to the lobby that put it in power. The people elected onto the Exco may be well meaning, and it’s understandable that there should have been concern about the financial management of the professional arm. But what is happening is a step in the opposite direction to the one that WP, and the other top unions, should be taking. It is not only WP that has financial woes. The other top unions would be broke if it were not for their angel investors and it has long been the intention of SA Rugby (the national professional arm) to reduce the number of professional unions and to cut the number of professional players from 900 to 400. A more streamlined business operation would have the benefit of making the entities more competitive and viable and would increase the chances of keeping the top players in the country. But the presidents, reluctant to give up their power, stand in the way. It was easy to pick up Durand’s frustration in one of his quotes: “I don’t think SA Rugby is against this plan (to privatise and streamline), but politics is delaying the process”. 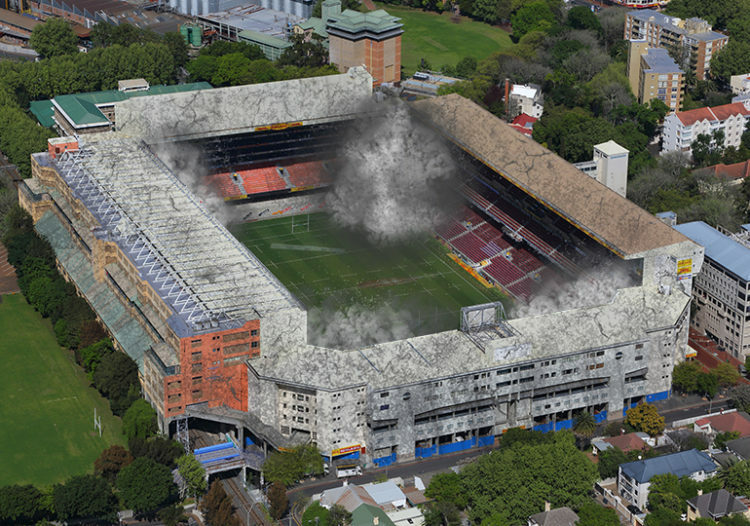 Which brings us back to why the WP crisis may be a good thing – the presidents will never vote themselves out of power, but if WP implodes – which it could do as sponsors won’t be drawn to a union where amateurs hold the power and which is set to lose the bulk of the player body if Treu becomes director of rugby – then they will be left with no choice. Waiting for the presidents to preside over their own demise as role-players at the professional level of the game is like waiting for the train that never comes. Maybe the WP house needs to properly cave in so that something good can be built out of the wreckage, with privatisation forced on them out of necessity. Once it has happened in WP, and the benefits are shown, the other top unions would surely follow suit. I am not in disagreement with what you have said, but playing devils advocate for a moment, one could quite easily see it differently from the Presidents point of view. Had the Stormers smashed records and filled the cupboards of Newlands with trophies, then the President would have little latitude, but the reality is that they have sadly underperformed for the past three years, if not more, despite having far greater resource than any other Pro Franchise! More to the point, they have not done much about managing their underperformance, in fact they have rewarded it – same old same old, year after year! Let’s face it, if they were owned by a company, they would have done something about Smal and Fleck some years ago. The fact that the new President is trying to make changes is now seen as sinister – how come? Nothing can really happen until SA rugby change the rules and allow private concerns to own more than 50%. At that point Remgro will likely call up their dept of forty million and force the pro arm into liquidation – exit the amateur arm! I’m in full agreement you! Your comments do not surprise me given your comments with regards to anything published to do with the Stormers or WP. The argument you are making is the excuse we are hearing from the board. The real facts are Gert Smal has been undermined by the union from the day he started. A perfect example is when AC left. He hunted far and wide to get a top coach and made numerous offers to NZ, UK and SA based coaches. He even got Eddie Jones, considered one of the best to signup. When he finally got Mitchell interested the board turn it down based on a BS story coming out the Lions camp. Given what he has endured he has done a fantastic job as director. The junior WP teams have consistently won their leagues as have the Varsity sides and club rugby has seen a vast improvement in interest from supporters. The rugby academy in Bellville is a world class facility where talent is nurtured from an early age. The union has also consistently been ahead of the rest in terms of transformation. We also attract the biggest crowds in SA by some way. The 7’s, since coming to CT, has been a huge success. I’ll tell you what is sinister! Paul Treu is not equipped to do the job and is a mate of Marais who was voted in by way of the 100 amateur clubs represented, some of which can’t put a full team together for a Saturday game. If they were genuine then they would be looking to replace him with a professional with the right CV. Why do you think the players and the sponsor are threatening mutiny?? This is politically driven and a disaster for SA rugby as a whole. i fully agree. WP is the best province in all SA. all of the above is correct. You need to cut the emotion and try and be a bit objective. There are two sides to this story and at the moment the Cape Media is telling but one side! The management and Coaches haven’t performed and their SR side has got progressively worse. Those are the facts John, not some sort of personal biased as you suggest! No secret, if you consistently underperform, you leave yourself open to criticism and they have arrived at that point! I am not sure whether the new chap in charge is a good guy or not, but on the face of things, it seems that he wants to fix things. Are you suggesting he does nothing and allow the status quo? Would you rather have him sit back and watch the Stormers slide further into the dirt?? Barry, its all good and well being a devil’s advocate but the devils in the detail. John has gotten to the nuts and bolts of the problem. A better way of looking at Zelt would be in the exact same context as Zimboobwe, Venezuela and South Africa. The Governing entity has been found out and it doubles down by increasing even more of its incompetent behaviour. It really has become the tail wagging the dog. I don’t know that Smal has done anything wrong and I’m no Fleck fan but let’s face it, neither of them is responsible for bankrupting the union, losing Eddie Jones And John Mitchell,—or for telling Duane he’s too old for that matter. I have it from reliable sources, NOT a journalist, that almost the entire Stormers team are looking for greener pastures post RWC. We’re talking about performance on the field Sweet not on the balance sheet. Their performance on field has been abysmal and they have no shortage of talent. Smal’s Mistake is not addressing the shortcomings in 2017 or 2018. He took the buddy buddy route and that’s dragged him into the scrap! Have you heard one threat for John Dobson? Well there’s no fair cause is there, because he’s done the business, the others haven’t. It’s pro sport, perform or move on! The best advise would be, win Super Rugby 2019 or make plans! I think we need to cut the cord between Currie Cup and Super Rugby Franchises and create a completely different model for managing our talent. Stop hoarding players. I believe that there is room for both, but can’t be owned or managed by an ammeter arm. Allow each province to own a steak in a franchise team, but not more than 49% combine. Give 2% to SA Rugby and 49% to Provide investors. SA Rugby has the final say as it can choose whether the provinces are in the right or the private sector. Roland, I believe Wakefield ate all the ‘steaks’ before he left. Cheers. Yep, something like the Pro scene in the USA where entire franchises are owned by a private individual. Who can take the franchise and move it to a different city if he/she wants, and can tell the government to stuff itself, they won’t be told who to pick and choose,—-racism has no place in ANY professional endeavour, it should be predicated purely upon merit. Just imagine the USA prescribing a 50% ratio in the NBA because whites are under-represented. There would be hell to pay but in SA it’s entirely acceptable. Roland, you are not wrong, as the game becomes more commercial, so will the emphasis on the National Side decrease, to some degree. privatisation will be worse if the owners goal is to develop players in order to sell them to European teams for a profit. but it will be good if their plan is to make their money in Super rugby. Then they will do all they can to keep those players in their teams and improve Super rugby. In truth though this is unlikely. private owners only care about profit. Seeing that the rand is weaker than the Euro, surely the only way for private owners to make money would be to contract players and sell them while they still under contract. just like in Soccer. This is also Europe’s plan. they wanna run rugby like soccer is. they want all other nations to be supply to their leagues. sis! This is surely not good. i don’t support privatisation at all. believe me if it goes that route and the government doesn’t get involved. We can forget about tournaments such as Rugby Championship and six nations. I know people hate the government but i guess if you have never been to the other side you will never be able to understand why they enforce the laws they do. as bad as they have done, they will do good to fight privatisation. Bottom line is WPRU is run by idiots who’s there for the wrong reasons. Rupert and others won’t be part of a sinking ship unless they are allowed to call the shots. Take the politics out of WPR, beg a guy like Rupert to become president, get the old hero’s involved who really care about the game and the union and WPRU will be a powerhouse in no time.